Hawai‘i Friends of Restorative Justice (HF) – (formerly Hawai’i Friends of Justice & Civic Education) is a 501(c)(3) nonprofit established in 1980 that is committed to advancing civic behavior and improving the justice system. Mission of Hawai‘i Friends – increase democratic behavior by engaging people in positive civic activities and decision making advocates through developing programs, research for determining evidence-based practices that rehabilitate, heal and give hope. Public Health approach: since its inception, when it piloted a Street Law program to rehabilitate family court youth, HF has used public health approaches, including cooperative education, solution-focused, restorative justice and other engaging learning practices, to promote positive civic experiences and improve the justice system including helping people heal from injustice and wrongdoing. 1. Huikahi Reentry Circles are a reentry and transition planning process for incarcerated people and their loved ones (see: https://papers.ssrn.com/sol3/papers.cfm?abstract_id=2666828), and Modified Huikahi Restorative Circles (see: http://lorennwalker.com/wp-content/uploads/2016/06/YoureGonnaMakeit.pdf) for incarcerated people who meet with other incarcerated supporters have been provided to 144 people to date for mostly incarcerated women in Hawai’i’s state prison who meet with loved ones and family. By December 2016, 627 people have participated. All 100% participants continue to report the circles are a positive process. Additionally in 2016 we provided modified circles for women in the Hawai’i women’s prison (WCCC). We also provided circles for people in other countries and states that are replicating the process. 2. 12-Week Cognitive Course on Restorative Justice: Restorative Justice as a Solution-Focused Approach to Conflict and Wrongdoing was provided in the spring of 2016 and 17 women participated with 10 women completing the training and the other 7 attending at least half of the classes (many attendance differences are due to women coming into and leaving prison). In the summer we received the research outcomes that this interactive 12-week cognitive provided for incarcerated women did not reduce recidivism. As a consequence we redesigned the into a Solution-Focused Mediation and Restorative Facilitation Training program. It became an intensive 18-week (2 hrs a meeting 1x a week) course that teaches the imprisoned women to be solution-focused mediators and restorative facilitators. It is much more skill intensive and challenging. The women were mediating disputes in their dorms and applying much of what they learned. The first course is not completed until spring 2017 and in our 2017 annual report we will provide information on the outcomes. We plan to also further adjust and refine the course in 2017. 3. Community Justice Circle with Angela Davis: We held a community circle in our state supreme court, Ali’iolani Hale for ninety minutes with selected invitees including Dr. Davis who was here from Oakland. She kindly agreed to participate and was introduced by our chief justice Mark Recktenwald who opened the circle. Additional participants included formerly imprisoned people, judges, college students and professors. A report on the circle is attached for more details. 4. 8th Annual Parolee Completion Celebration: was held November 8th the day after presidential election last year. Participants commented it was especially appreciated after the outcome of the election. We honored the hard work of the people who completed parole and those who helped them including family and members of the justice system who encourage rehabilitation through an optimistic view of their clients. The event brings Hawai’i parole officers, members of our justice system, formerly incarcerated people, and the community, together in a positive shared process that encourages their continued best efforts. 5. Independent Evaluation of Circle Program on Individual’s Recidivism Rates: Dr. Janet Davidson chairperson of the criminal justice department at Chaminade University of Honolulu evaluated our reentry circles for recidivism rates. Our control group were people who applied for circles did not have one, mainly due to their leaving prison before we could provide them with a circle. Her brief report on the evaluation is supra pages 7 and 8. She and the ED will prepare a paper on the evaluation to be published early 2018. 6. Online Reentry Guidebook for people exiting prison and jail to access resources in Hawai’i for housing, employment, treatment, identification, education and other needs for a successful clean and sober and law abiding life. The project is modeled after the one developed by Root & Rebound in Oakland, California http://www.rootandrebound.org/. We were able to have a student from the University of California at Berkeley help with the research through Root & Rebound’s assistance. We also obtained assistance from volunteers in Hawai’i. We hope to publish the guidebook online in 2017. Root & Rebound has been a tremendous assistance for us in our efforts to provide this service that we believe is needed badly in our community. University of Hawai‘i Intern assistance from Social Work School— our intern left late 2016 left after her first semester with us because she wanted more time client contact, which we could not provide. 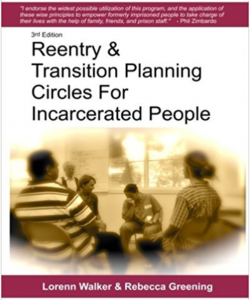 Walker, (in press), Restorative Reentry Planning Circles for Imprisoned People. European Conference on Restorative and Therapeutic Justice, San Sebastian, Spain. Walker & Tarutani, (in press). Restorative justice and violence against women: an effort to decrease the victim-offender overlap and increase healing. In D. Halder & K. Jaishankar (Eds.) Therapeutic Jurisprudence and Overcoming Violence against Women. Hershey, PA:IGI Global. (http://lorennwalker.com/wp-content/uploads/2017/07/DRAFT-restorative-justice-and-violence-against-women.pdf). Walker, 2016, Brazil’s APAC Prisons: Applying a Restorative Justice, Solution-Focused, and Public Health Approach. In Wright (Ed.) Lawyers as Changemakers: The Global Integrative Law Movement, Chicago, Illinois:American Bar Association. Restorative Reentry Planning Circles for the Imprisoned that will feature an imprisoned woman whose life sentence without parole was commuted and who had a circle the ED facilitated and our UH MSW intern recorded (by hand on large sheets of paper during the process) that was filmed at WCCC in the spring 2016. ED wrote oped Invest in ways to keep people out of prison, Honolulu Star Advertiser, December 8, 2016. Walker, Honolulu Star Advertiser, October 14, 2015. With minimal funding and administrative overhead to administer the organization (less than $5,000 annually), we continue to serve a large number of people in the community and educate the public to improve our justice system. Lorenn Walker, Volunteer Executive Director (ED) – public health educator and restorative lawyer (www.lorennwalker.com) who develops, implements, researches and publishes the results of social learning processes using restorative justice and solution-focused approaches. Lorenn is a Senior Fulbright Specialist for international peacemaking training. She first became involved with Hawai’i Friends in 1994 when she was the mock trial attorney coach for Waialua High School and was working as trial lawyer for the state of Hawai’i attorney general’s office. Since then Hawai’i Friends has changed its name and has shifted its focus from law related education, e.g. mock trial, to more of a public health approach using restorative justice. 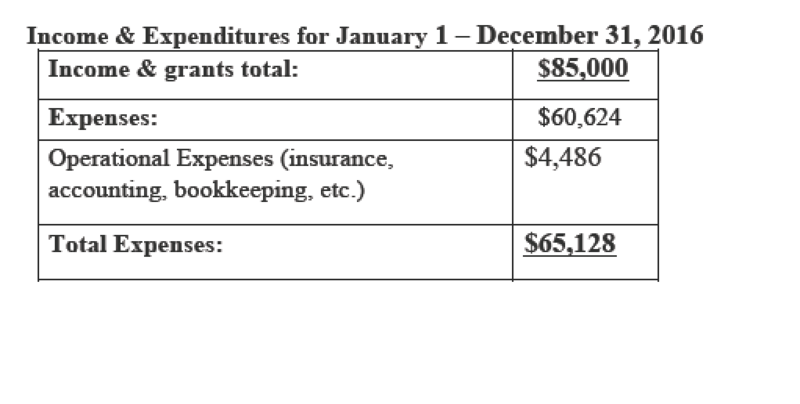 Lorenn donates her ED time to the Hawai’i Friends and receives minimal compensation (basically stipends) from grants and donations for her other work providing the programs we develop and provide. Family Law Clinic at the Women’s Community Correctional Center (WCCC) Serves imprisoned women’s family law needs and assists women with personal and legal post incarceration issues. Developing comprehensive reentry guidebook. Provide law clinics and individual consultations at the Kailua women’s prison. Assist imprisoned women in preparing legal forms and other family law assistance. Reentry Circles in Brazil Provide a five day training to 40 people in Brazil on reentry circles. Sponsored by the Brazilian government.